Hi folks, this is a test using Flickr & a random picture,cheers,JD. 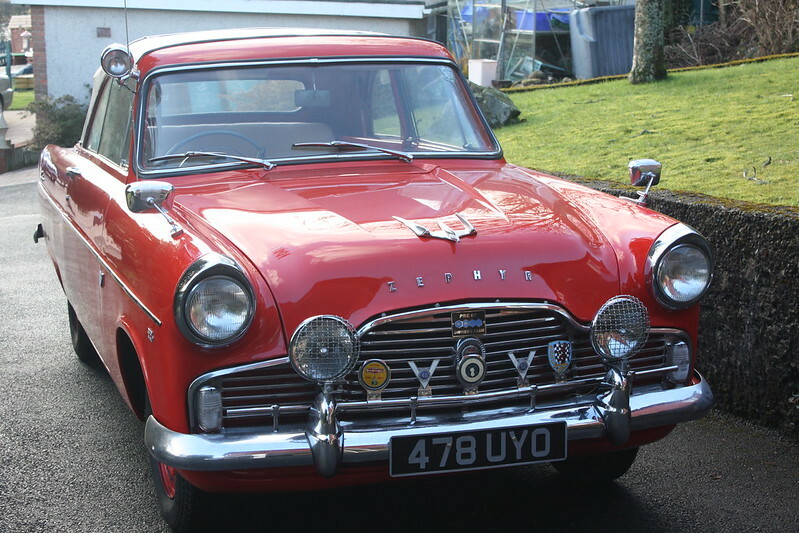 Dad had a Mk 1 Zodiac, but I think yours is the best of the range over the years. Let us forget the last one! I recall a black one like this in our orchard when I was younger, my memory is mainly that the seats had leopard skin print covers! There were only only two Zephyr/Zodiacs in the village when I was at school. The one I remember fondly was VUN 132, A Zodiac which belonged to the parents of a school friend. It was in the Zodiac that I first visited Chester Zoo which was in June 1964. It was replaced in February 1967 by a silver Mark 4 Zodiac, HUN 462E. 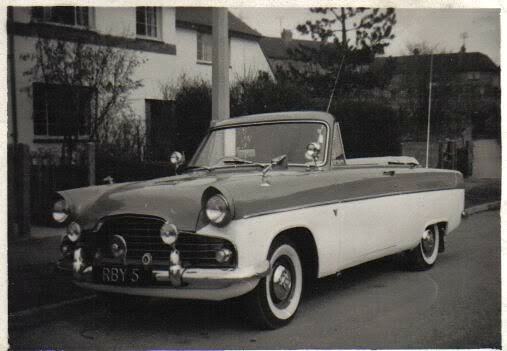 I have always liked the Mark 2 and 3 Zephyrs and Zodiacs and many have told me that the 2600cc six cylinder engine was one of the finest power plants in the Ford range. John, excuse my curiosity, what do you mean "My last classic"? Finding a fine example like yours must have taken some searching but does that preclude you buying something different in the future? Hi Ellis, my reasons for buying this car were that I wanted something which didn't need me working on it - it didn't turn out that way. I'm now 77 & have spent three months working on it - my fault for buying it on the condition of the bodywork instead of a proper inspection. I still have stuff to do but the car is now in a usable condition & the rest can be done without breaking my back. I learned something I already knew - never trust a car salesman - if his mouths moving he's lying. The car is perfect on top but like the ladies of the night, something was missing. (that's me being polite) Cheers,JD. This was my first one when I was 21. The current one was to take me back. I'm now looking for someone to make me 21 again. Cheers,JD. The nearest I can suggest is 3 x 25yr olds. It appears we have similar thoughts regarding our cars. My first ‘runner’ was a black 1948 Jaguar 2 1/2 litre and when going through the ‘mid-life crisis’ years I decided I would like my last car to be the same as my first, so when I saw my ‘47 car advertised I just had to have it. The engine was seized and it had been lying outside for seven years uncovered, but hey, these rose tinted specs work a treat. Hi Art, I can understand your feelings for the 2 1/2. During my apprenticeship our daily fodder was 2 1/2s / 3 1/2s, Mk Vs, 120s/140s 2.4 & 3.4 Mk1 saloons which later became the Mk2 Jag everyone raved about, plus P4 Rovers & Armstrong Siddelys - happy days. Then I joined the RAF, which was also good. Cheers,JD. Hi Art, it appears my 'last classic' was a bit premature. It seems I can resist anything but temptation!!! Nice find JD, must be a scarce survivor now especially in that spec. 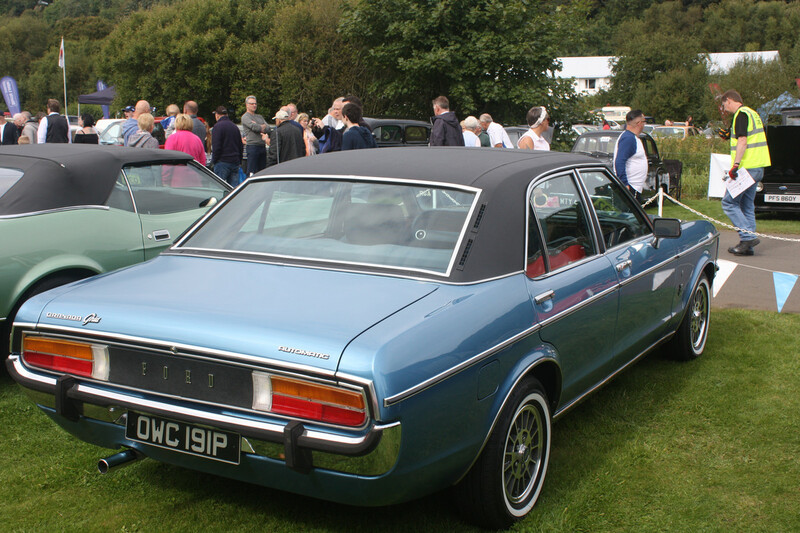 I had a Granada Ghia in 1984 the same colour but on steel wheels with the full disc hubcaps. If I remember correctly it was KNC8P, was very fast and running lowered suspension, the rears shocks being Boge adjustable coil overs. 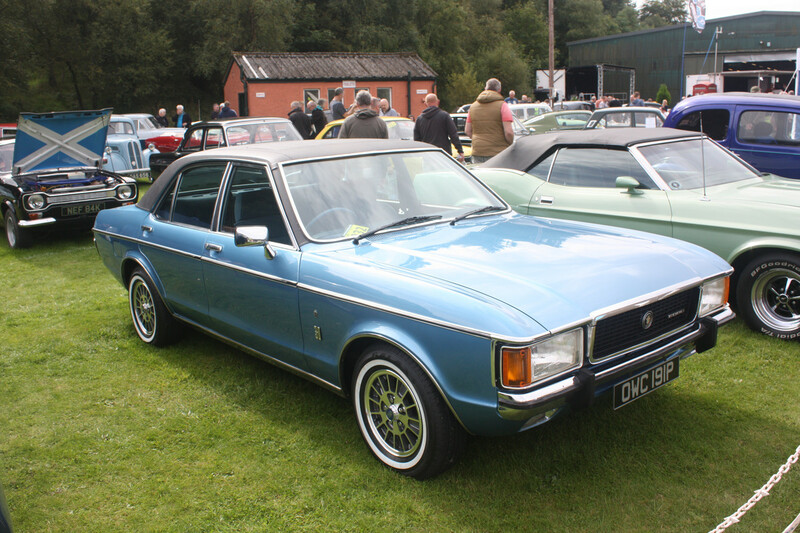 I sold it to a dealer, and some months later got a phone call to contact the Met Police, it had been used in an armed blag in London and when chased had left an SD1 behind........ Fortunately I had a good alibi, I was a member of a Police shield unit on standby at Orgreave at the time. It turned up late at night two weeks later in the hands of a couple of muppets trying to break into a supermarket in Nottinghamshire. [quote="Rick"]Nice find JD, must be a scarce survivor now especially in that spec. Hi Rick, yes, I have known the car for about 2.5 years - belonging to a member of our Pre67 Ford O.C. I tried to by it when I first saw it but he'd just found it & bought it - it all comes to he who waits,all the best,JD.